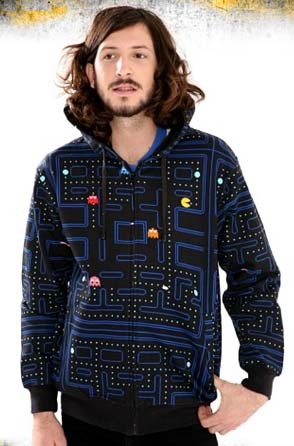 This black hoodie features an allover Pac-Man maze print. Watch out for those ghosts! Front zip closure. Pouch pockets. where can i get one? and how much? ?